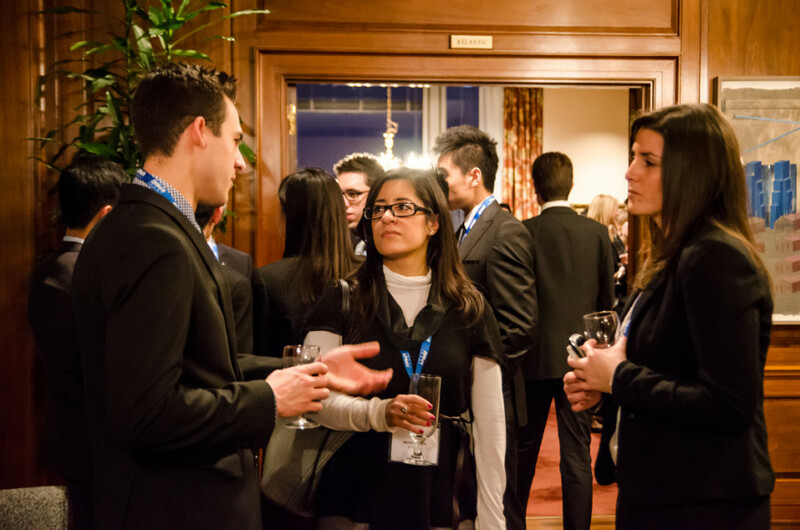 The party was in full swing at the Hilton Bonaventure on Feb. 23, as glammed-up business students from around the world celebrated a week of hard work, following the fifth edition of the Joh­n Molson Undergraduate Case Competition. The annual event is unique amongst its kind and has gained quite a reputation on the international competition scene since its inception. This year, 24 of the world’s top business schools—the most the competition has ever hosted—competed to solve real-world corporate cases put forth by a prestigious array of companies and sponsors. The 24 teams of four are divided into six divisions. In the first round, each team has three hours to tackle a case and present its findings to the judges. In the second and final round, the six division winners have 24 hours to deliberate their cases and present recommendations to a new panel of judges. 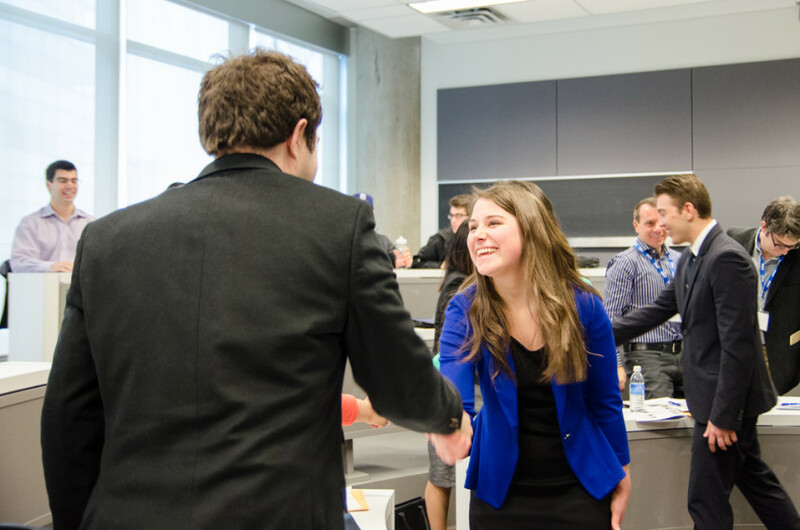 Case competitions like JMUCC allow students across all business academic fields to apply their learning to real-life scenarios, showcasing their skills in front of potential employers and partners. At JMUCC, networking and employment opportunities present themselves both inside and out of the presentation room. “I gained so much confidence in public speaking and networking with professionals in the workforce,” said Lori Defnet of Maryland’s Salisbury University. “It’s about getting the opportunity to use your skills not only in the competition, but interacting with the business community. It’s a huge advantage to be in the field like that,” added Julianne Waxman, another member of the Salisbury team. For Tarik Qahawish, digital marketing and communications director at Aeroplan Canada and JMSB alumnus, his first experience at the competition as a judge was a memorable one. “I think [the competition] is a great idea. I hope it will continue to expand and provide even more opportunities [in the future]. Presenting in class in one thing, but presenting in front of industry experts is a completely different ballgame,” said Qahawish. “[These students] are very sharp; they really understand the business context and what it takes to move a business forward and solve strategic problems, especially with the short timelines they are given. I’m very impressed,” he said. Sal Mariani, a representative from Scotiabank who has been involved with the competition for the last four years, agrees. Case competitions offer a unique chance for the next generation of business leaders to strut their stuff and take command of a room, a sought-after skill in the industry. At JMUCC, it’s not just about having technical skills, but also demonstrating one’s ability to effectively communicate original ideas while making a memorable impression on the judges. Jeff Talajic and Antoine Théorêt-Poupart, brand manager and acquisition manager respectively for Frank and Oak, a Montreal-based online clothing shop, have both greatly appreciated the feedback from students on the case they provided. “There are some ideas that came up that are very interesting, and they couldn’t have come from someone that was 45 years old. It had to come from someone who was 23 years old,” said Talajic. “I took really good notes. A few of their ideas will most likely be implemented in the future,” said Théorêt-Poupart. While the two-way learning street was bustling with traffic, the word on the tip of everyone’s tongue was networking. In an increasingly globalized society, the competition made it clear that one can never underestimate the value of connections made with peers—whether they’re from one’s home country or across the world. “You’re building relationships with people who are in a similar time in their life, with like-minded goals and aspirations, and that’s the best part about it,” said William Hall of Concordia’s John Molson School of Business. This year’s competition was won by the University of South Carolina. Queensland University of Technology took second place, while the National University of Singapore came in third.